June 18th, 1858 was a rough day for Charles Darwin. On that day, he saw his worst nightmare seemingly unfold right in front of his eyes. “All my originality, whatever it may amount to, will be smashed,” he wrote to a friend, fearing that his life’s work had collapsed entirely. What happened–what caused this moment of panic? A letter had arrived from a remote jungle in the Malay Archipelago, written by a man Darwin hardly knew. Let’s set the scene. Darwin is sitting at his home library in Downe, southeast of London, working away on his magnum opus–a “big book” on evolution through natural selection. He has been chipping away at this work for over 20 years, originally becoming inspired to write it after returning from his voyage around the world. It was a big idea, natural selection, and he wanted to get every detail right. This was the kind of idea that would face mass criticism, and possibly upset a good number of people –the last thing Darwin wanted to do was rush it. Only a few friends knew about this work. The first time Darwin revealed it to a friend in 1844, he had admitted it felt “like confessing a murder.” Species are not fixed. They change over time. On June 18th, while sitting in his library, Darwin probably saw the mailman coming up the drive. The mail was important to him, it was one of the ways he collected information for his big book, he wrote an average of 18 letters a day. In order to see the mail arriving, Darwin had installed a mirror on the side of the house, allowing him to see down the driveway. But on this day, something incredibly shocking was to be delivered, a paper by a little-known known collector named Alfred Russel Wallace. Wallace didn’t have Darwin’s Cambridge education, he was from a much more humble background. Instead of Darwin’s wealthy lifestyle–which freed him from work and allowed him to ponder scientific questions in his spare time–Wallace was a lowly collector who had spent much of the past decade in jungles, catching butterflies. After collecting specimens, Wallace would ship the exotic creatures from far away lands back to London–it was a decent way to make a living (despite malaria and other constant dangers). Somehow, while collecting in the jungles of what is now Indonesia, Wallace landed on precisely the same idea Darwin had been working on for 20 years. “I never saw a more striking coincidence,” Darwin wrote after reading Wallace’s paper. Darwin had once written a short sketch on natural selection. If Wallace had read that sketch, Darwin stated, “he could not have made a better short abstract” (of course Wallace had not–it was safely tucked away in Darwin’s desk drawer). Darwin had been warned, his friends had begged him to publish on his big idea. In science, publishing is the only true way to stake a claim. If someone else publishes first, they receive credit for the idea forever. This was a big claim, Darwin’s friend Charles Lyell had warned him, one that Darwin shouldn’t let slip away. Not after all decades of hard work. On June 18th, Darwin realized how right Lyell had been. Coincidently, Wallace had sent Darwin the paper asking him to send it to Lyell. If Darwin thought the paper was worthwhile, he was to pass it on, for Lyell was much too big of a scientist for Wallace to approach directly. Of course, Wallace had no idea what he had just done, he was blissfully collecting butterflies in New Guinea. He–like most of the rest of the world–had no idea that Darwin had been stewing on natural selection since the late 1830s. Thus, Darwin was able to mail Wallace’s paper to one of the great 19th century scientists, but also one of the few who knew what this meant. So today was the day that Wallace accidentally awoke Darwin from his procrastination slumber. This is an exaggeration–Darwin was a less of a procrastinator and more of a careful man who wanted to have all the evidence collected before he published. But either way, he was awoken. So what happened next? Stay tuned for the next installment of Darwin’s Worst Nightmare, coming next week. I’ll be publishing updates as they unfolded in real time, so next–we’ll see how Lyell responded to Darwin’s crisis. 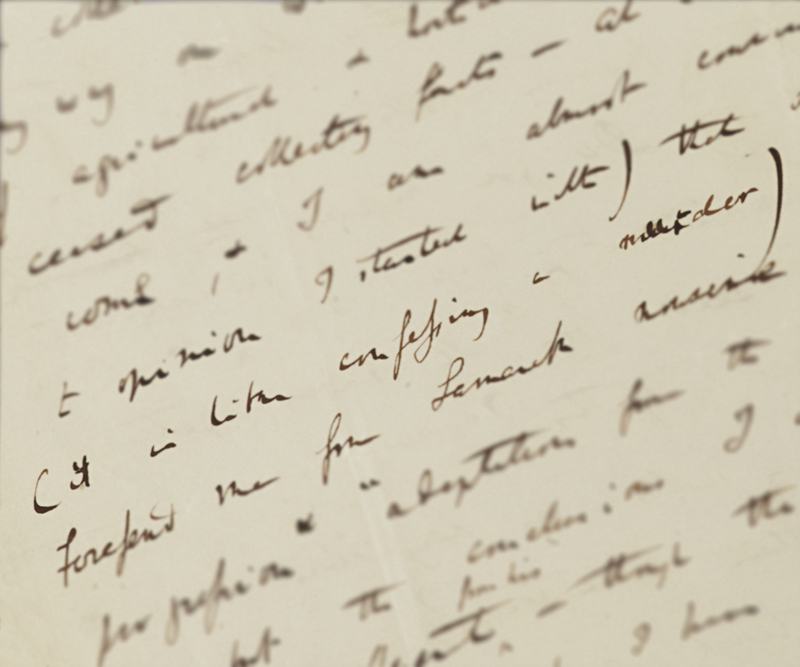 In the meantime, check out Darwin’s June 18th letter to Wallace on the Darwin Correspondance Project.